These are words colleagues use to describe attorney Carolyn Calarco, a graduate of the Paralegal Studies program at Cuyahoga Community College (Tri-C®) who was recently featured in The Strongsville Post. Calarco attended classes at Tri-C while still in high school. The associate degree she earned helped her land a full-time job as a paralegal and prepared her for further studies at Ursuline College and the Cleveland-Marshall College of Law, where she earned a Juris Doctor in 2008. 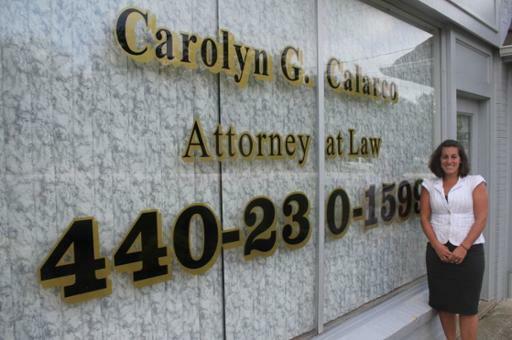 As the only attorney at Calarco Law Offices in her hometown of North Royalton, Calarco is able to provide her clients with personalized attention — something they might not get at a larger firm.